10% OFF our New Category Pack: Exotic & Wild Animals! - . :Early Learning Community:. BrillKids Forum > BrillKids Announcements > 10% OFF our New Category Pack: Exotic & Wild Animals! 10% OFF our New Category Pack: Exotic & Wild Animals! Sent last January 10, 2014 | Return To BrillKids! (Available as a Download Only product.) We're ringing in the new year with a brand new category pack for all of you Little Reader users! 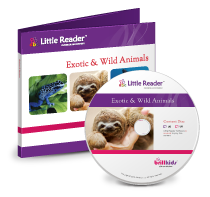 This new Little Reader Category Pack contains several new categories that will teach your child about Exotic and Wild Animals from all around the world. 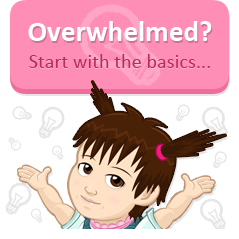 PACKED WITH VIDEOS & ANIMATIONS! With our new Little Reader Category Pack - Exotic and Wild Animals, you and your child can discover even more about our planet's diverse wildlife together! SPECIAL INTRODUCTORY OFFER ONLY VALID UNTIL JAN. 15. Visit the Online BrillKids Shop and get your Category Pack at the special introductory discounted price of 10% off TODAY! Introductory price discount is available only until JANUARY 15, 2014. A Little Reader license is required to use this product. Software and Category Packs are sold separately. The topic here discussed 10% off our new category pack exotic and wild animals. These kind of articles are mentioning the interested in animals and that has special packages. The videos and animations www.getinternetprovider.com are added here. The special category package offer price is also added here.